An wooden honour roll made from mountain ash commemorates those who served in World War One. 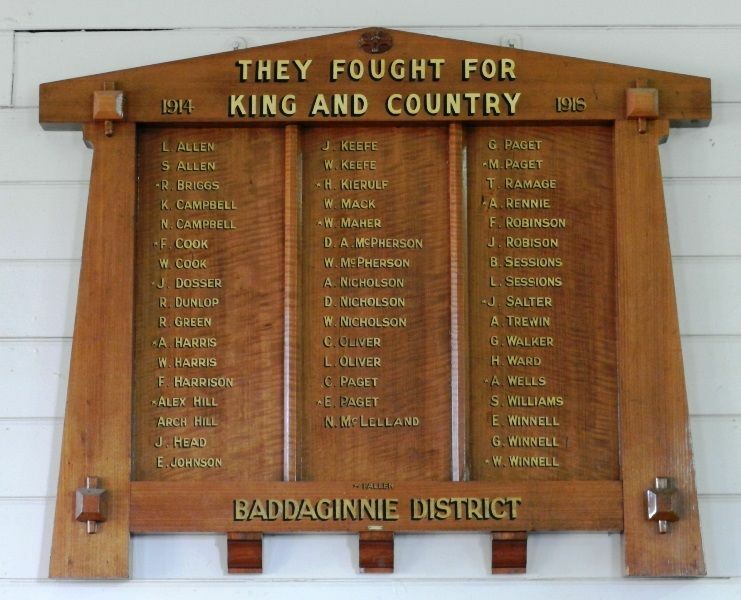 It was unveiled by Councillor George Walker in December 1919 at a function for returned servicemen. The names of the nurses who served in World War One were not added to this honour roll.